10 tips of Buenos Aires, advice for a friend of a friend. 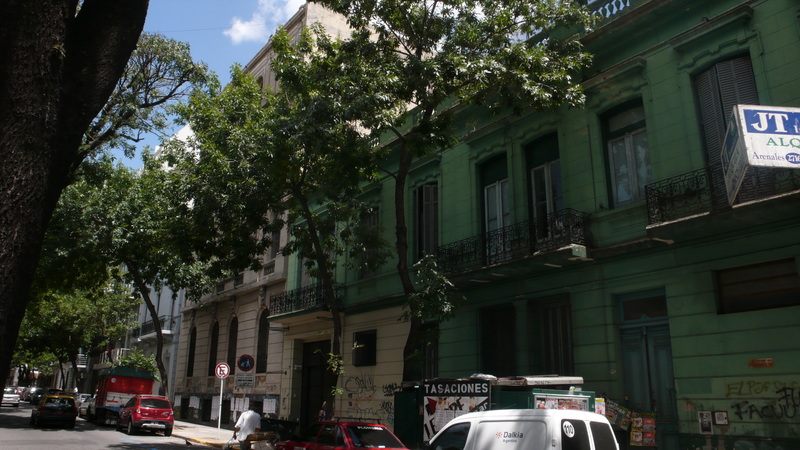 Tip One- contrary to popular misconception, Buenos Aires is not especially cheap. Inflation and other factors means you can spend a lot of money quickly. Here below, are a few ideas below to get much more out of the city, more fun, art, life and experience, for less. So, don’t walk around La Boca or the darker, emptier bits of San Telmo alone at night. While i was there somebody, a French tourist, was killed, for his camera. At the Falkland/Malvinas memorial, as it happened. Despite that, Buenos Aires is a superb city, one of the great cities of the world, with mostly kind & brilliant people. There is a certain amount of petty crime and graft, but serious incidents are rare and you can certainly avoid being a dumb statistic with the simple application of common sense. Safer looking generally is safer, lots of people is better than empty streets. Don’t walk in the seedier areas alone at night, and for women especially, try and stay in pairs and groups if you are unsure of the area. Having said all that, there are large areas of Buenos Aires that are similar in tone and feel to the most elegant,exclusive districts of Paris and Upper west side New York, dripping with lapdogs, fur coats and old money. You can afford to relax, day or night sometimes! I have to say I found the high reputation Argentine food, especially Argentine steaks enjoy, a little exaggerated. This is leaves and vegetables, mixed with fish, cooked in lemon and lime juice. It is delicious. There is also good Japanese food to be had, although seek out local recommendations, because I did visit one complete dud also. How to drink in Argentina. Argentine beer is good, Quilmes, brewed locally, is famous. Quality varies, especially with price, but in general mid-price is fine, always supposing you enjoy you full-bodied reds. Both beer and wine however are probably too heavy if you plan to indulge in the sweaty, active tango scene. Try the following two tipples instead…. There is an Argentine champagne called “Chandon” 1/4 the price of Champagne and not bad at all. You could also try a drink called Ganzia Batido. Try this nice tipple. It certainly worked for me. Tips on Transport and economy. Use busses, not taxis ! This is almost my number one tip. Why? Save yourself a fortune. Buses are brilliant, cheap, efficient, plentiful. They are great for people-watching. Amazingly, they also run all night. Do not translate direct from english “I want to take a bus” – “Quiero Cogido a Collectivo” This means something quite different. There are alos a lot of people who don’t have a great deal of money and certainly not enough for a private car. These two factors means there are there are a gazzilion of buses. So, in order to get your head around the buses, routes and numbers…. That’s a “Guia-Ocho” in Spanish-speak. It’s very cheap, about €1. You will save this much money, within about 3 minutes, of not getting into your first, unnecessary taxi. Why buy book ? If you do not buy this book, you will constantly be asking people bus-advice, getting confused and getting conflicting information. So, why not just have a cheap, lightweight pocket-sized guide with you? You will save a fortune on taxis. Taxis and security, Taxis, in my judgement, are strictly for emergencies, ultra-late nights or for neighborhoods you don’t know or feel comfortable in. But in general, if you are just a big, general scardy cat who taxis everywhere, you are going to have very expensive holiday. Don’t mess around or delay- Definiitely Try and learn some tango ! Why ? Yes, you might feel like an edjit at first, or even all the time, but on the other hand you’ll still enjoy it. It’s elegant, beautiful, together-ful, friendly. Obviously, its a great way to experience the culture actively, and to meet people. This is such important advice that my next 2-3 tips are also about how to learn tango, and how to do it right ! you will not learn by osmosis. Classes are plentiful, reasonable and fun. I will now explain how to find your most most suitable level, at the most local class to you. One is to use the local, smaller classes, running all over the city. There are so many of these, literarily dozens each afternoon, evening and night, that there’s actually a directory published each month! readily available from newsagents, kiosks and newsvendors. all over the city? Useful. This is Centre Cultural, Jorge Luis Borges. by which times its time to hit the milongas. Some of the classes focus on specific aspects, others are more general. I found one of the teachers a bit nasty but others were all great. You will be surprised how quickly you use them, and it’s cheaper that way. As regards practice and general nightlife you definitely… another Top Tip- Go to La Catedral, on Tuesday nights. Quite possibly the best fun you can have, even in this huge and amazing city. It’s Very very popular & full Tuesdays, so if you are going in a group and want a table, (which is much better) then get there before 9/9.30 latest. They have a class soon after, at 10pm, which is wildly popular. It’s very good fun, but it’s so packed that you don’t learn anything, except dodging tactics. -(thats another club entirely) . La Catidral do, apparently, have another, earlier class at 8 o’clock, which is far less crowded and mental, but seeing how the place runs til 4 am that’s just too damn early. The setting and atmosphere is wonderful. Go, and you’ll see what I mean. 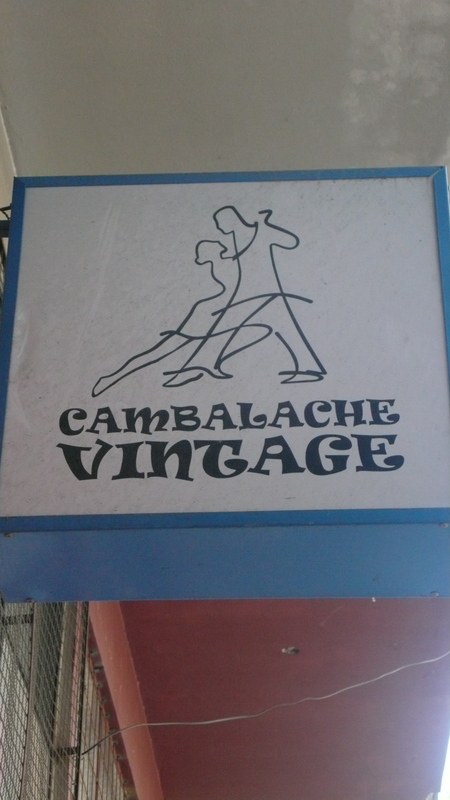 As regards other milongas, (this is a place to dance tango obviously) …..
La Comferteria Ideal is lovely old antique of a place, once very grand. Now a bit “touristy” and even the locals look like they have been embalmed, but the place still has its merits. In general Milongas are very varied. The trick is to ask around, go to lots, and find some you like. San Telmo is great week-round, not just for the Sunday street market. Yes, yes, the Sunday street market is great, super in fact, but so is the entire San Telmo area, and more “real” and far less crowded week-round. It’s one of the oldest, most historic and architecturally rich districts of the city. So wander at leisure, relax and enjoy. Of the later, I particularly liked historic Bar Poesia. The great J.L Borges and other literary greats drank here. These are generally early-evening places, later, people tend to drift to the more obvious location of Placa Dorrego and around, the real heart of this scruffy but wonderful area. Also in the surrounding area. is also in San Telmo,on calle Estados Unidos. Easy to find, very nice place, great selections of reads. if I remember right its on the intersection of c/Hondurus and c/FitzRoy. If/when there, ask the smart Canadian owner what the best nights are for music/DJ/Best crowd. I could go on but that’s more or less it, except, Go, reader, have a great & brilliant time. Previous Post The Cemetery at Recoletta. 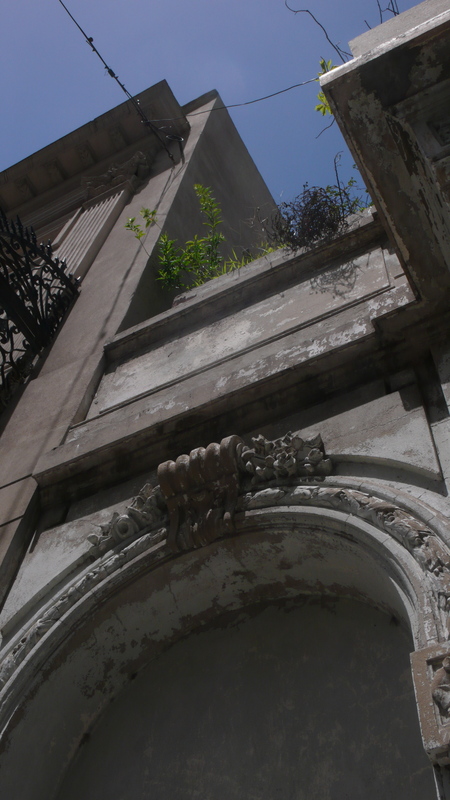 Next Post A walking tour of decorative details; Buenos Aires, Argentina.